One iconic meme from “The Simpsons” still doesn’t make perfect sense, even to the man who created it. Two decades after it first aired, the “steamed hams” scene — where Principal Skinner attempts to pass off Krusty Burgers as his own “patented Skinnerburgers” to an incredulous Superintendent Chalmers — has turned into a full blown meme, catching the man that created it, former “Simpsons” writer and showrunner Bill Oakley, by surprise. “This is peak meme. You’ve reached the top and there’s no getting better than this,” gushed a commenter on one remix, set to the tune of “All Star” by Smash Mouth. How’d this happen? Even the meme’s ascendance is shrouded in mystery. (Oakley believes it was jumpstarted by hundreds of wacky Australians badgering a supermarket for “steamed hams” in 2016.) Oakley, after seeing his scene resurrected by the internet, believes much of its staying power boils down to the name itself. He’s not wrong. Just mentioning “steamed hams” will spark any “Simpsons” nerd to immediately share their favorite quote from an uber-quotable scene. 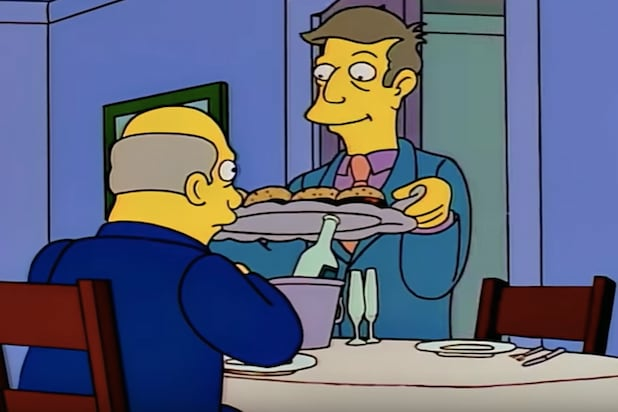 (“I hope you’re prepared for an unforgetable luncheon”; “delightfully devilish, Seymour”; “Well Seymour, you are an odd fellow, but I must say, you steam a good ham.”) At the same time, the scene is the perfect encapsulation of the long-running, hilariously uncomfortable Principal Skinner-Superintendent Chalmers relationship. Add those two elements together, and you have a moment that’s “extremely ripe” for “sh–posting,” or deliberately sharing ironic memes, according to Oakley. The “Simpsons Sh–posting” group on Facebook, with 227,000 followers, has done much of the heavy lifting. 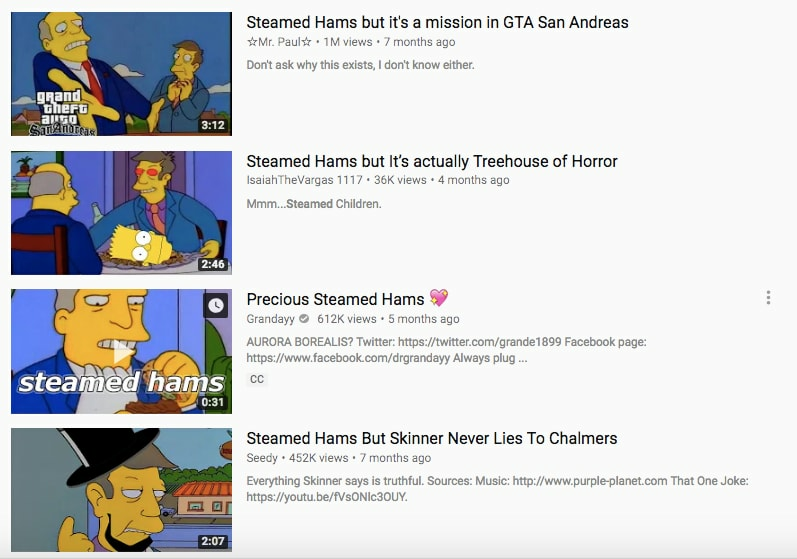 Since launching in 2015, the group has seen “steamed hams” evolve from a niche meme into a cottage industry of shrewd, highly-edited videos. Oakley admits he’s cracked up at several iterations of “steamed hams.” But while it appears to lend itself to a never-ending supply of memes, he wouldn’t be upset to see it die off before it officially jumps the shark.